Yesterday, the Daily Dealer alerted readers to the hidden Black & Decker Father’s Day deal on Amazon. If saving $10 on Black & Decker products isn’t enough for you, there is currently a one-day-only deal that should do the trick. 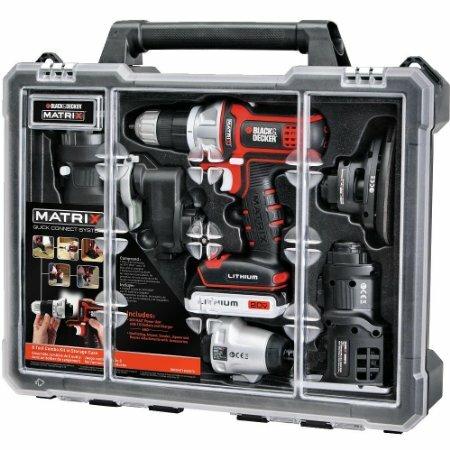 Specifically, the B & D Matrix 6 Tool Combo Kit is $43.33 off today. The Matrix Quick Connect system is a 20V MAX power tool that can be used for a whole hosts of jobs. Hence the six attachments. It comes with an impact driver attachment, a jigsaw attachment, an oscillating attachment, a router attachment, a detail sander attachment and a drill/driver attachment.